For Christmas, my sister paid for my brother-in-law and stepdad to have a tour of West Berkshire Brewery. We often buy our beer from there, especially over Christmas time or for family get-togethers, so Dale and I thought we’d buy ourselves places and tag along too! And I’m so glad we did as it was a fantastic afternoon out. Dave Maggs, who founded the brewery with his wife in 1995, took us on the tour of the brewery. His enthusiasm was infectious as he explained the whole process, letting us see and taste the barley and malts he uses and how they affect the end product. The afternoon also included 3 pints of beer and there was a BBQ to buy tasty burgers and hot dogs from. It was great to try the beers and actually pick out the flavours after Dave had explained them to us. I’m by no means an expert now but I do feel a little more knowledgeable! 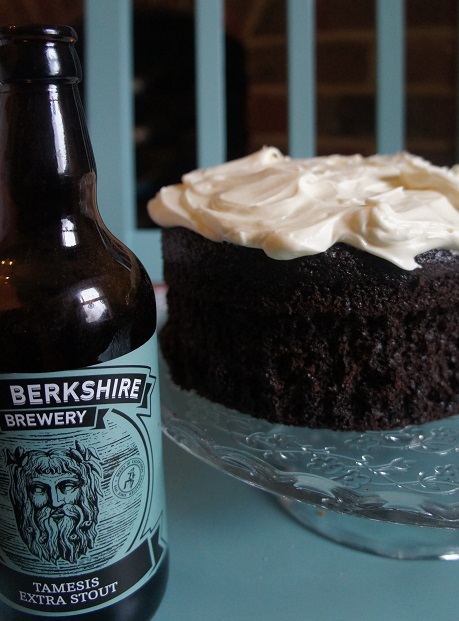 As we browsed the shop afterwards, I spotted Tamesis Extra Stout and remembered that I’d been wanting to make Nigella’s Chocolate Guinness Cake for a long time. I bought two bottles (one to make the cake and one to drink!) and set to immediately. I followed Nigella’s recipe but decided to add my own twist, so I included a tablespoonful of chopped stem ginger and a tablespoon of the syrup from the jar. 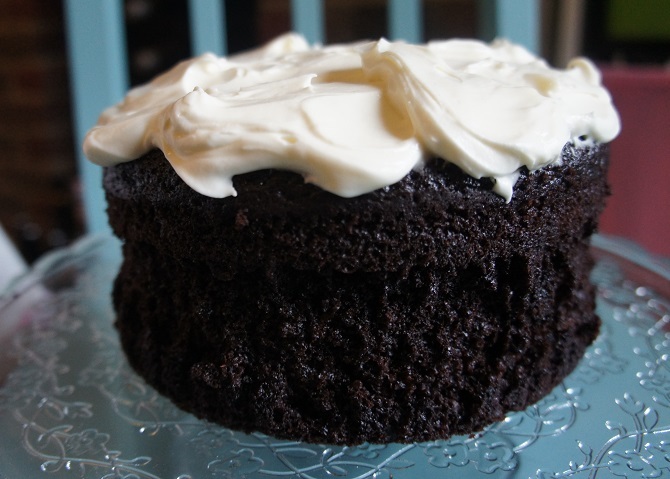 It was a really dark, moist cake with a lovely light frosting – definitely one I shall be making for our next family gathering. I’d better pop back to the brewery and get some more stout along with my favourite beer – Full Circle.